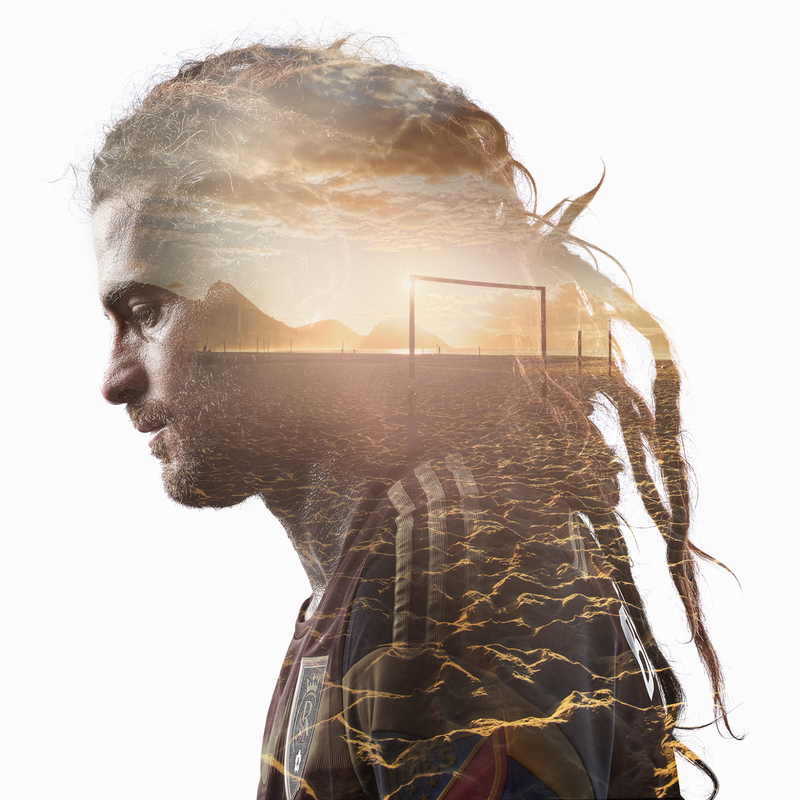 AtEdge photographer Tim Tadder just released a new set of beautiful, double-exposure portraits starring 15 Major League Soccer athletes. Earlier this year we were assigned to shoot 15 stars from the Major League Soccer league as part of a Capri Sun sponsorship. 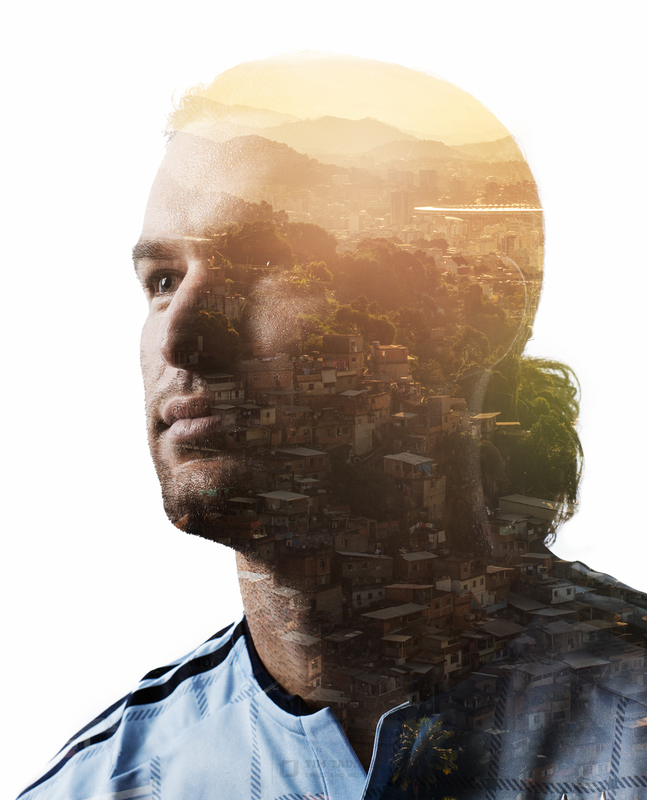 We were given 15 minutes to shoot action, portraits and players interacting with product. A lot to do in a short amount of time. 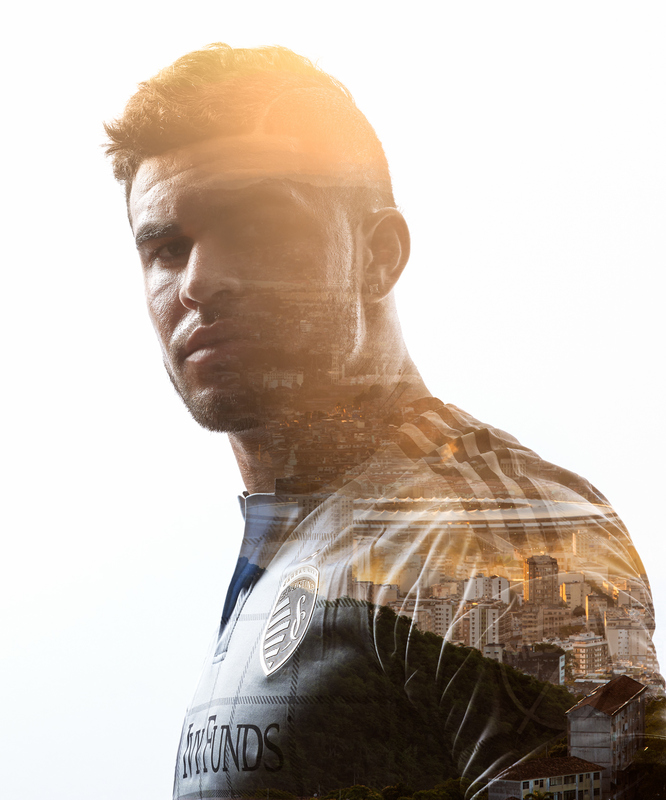 I knew if I had even one minute with each player at the end of that blitz, I would want to create these double exposure images. 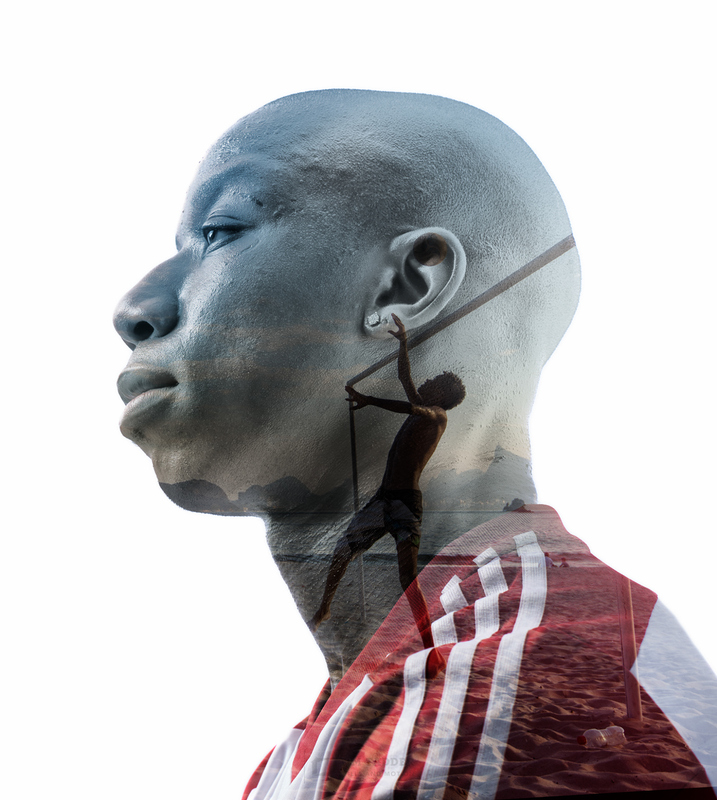 Inspired by the many uses of the double exposure technique appearing everywhere from True Detective to portfolios all over behance.net, I decided to put my sport centric twist on them. 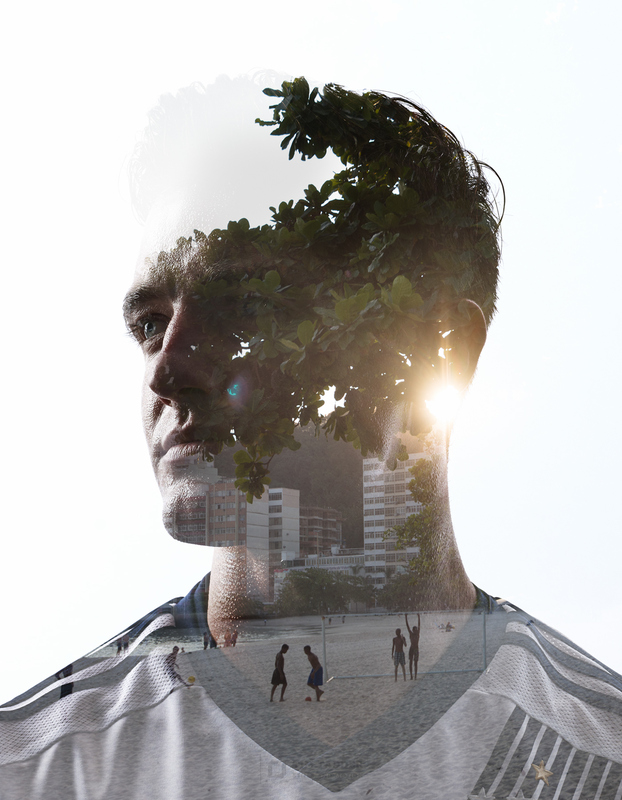 Using backgrounds from the location of the 2014 World Cup, like the warm depth filled Rio sunscapes with their soccer fields and stadiums like The Maracana, provided quite interesting insets for the doubles with their unique textures. So much of this sport is played in the mind and these images let the audience imagine the thoughts and aspirations of the professionals that dedicate their lives to this beautiful game.